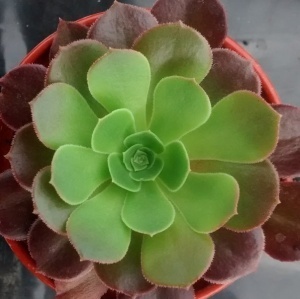 Beautiful form with green leaves and red edges, colour more prominent in summer. Produces multiple rosettes on short stems great in terracotta pots. Bring in for winter a great form.